Comments: Silicone oil for use in Airsoft Innovations grenade lubrication. Inject 2 drop of oil into grenades once every 2 fills to maintain seals. 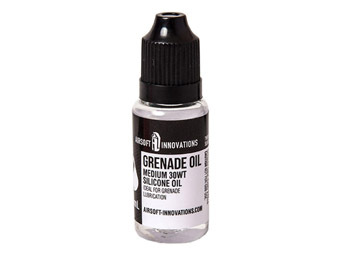 Comes in a 15ml eye dropper bottle with waterproof label and spill-proof cap.